TK-42134 replied to Skylaughter's topic in Newly Approved Members - Sound Off! Agreeing with everyone here. Go for it. 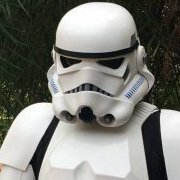 I didn’t think I’d look good in a Stormtrooper either, because I’m 6’2”, and was a little heavier than I am currently when I finished my kit. According to my makers website, you had to have a “mesomorph” body type. I went so far as to contact them to see if the armor would fit me if I got it. They said with modifications, it “should”. I purchased one. 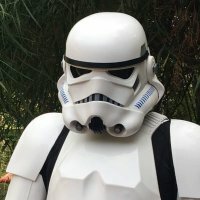 With encouragement from people here, and help from some friends, I was able to get through my build and live my dream of donning Stormtrooper Armor. Do what Jordan said and read up on a work in progress page, and get yourself familiar with the work that will have to be done. There are lots of great people here that are encouraging and helpful. Have fun and good luck.